Further, the rotating dispenser wheel on the bottom of the container comes with a plug with a special housing suitable for client supplied necklace attachments that provide even more functionality and athletic appeal. 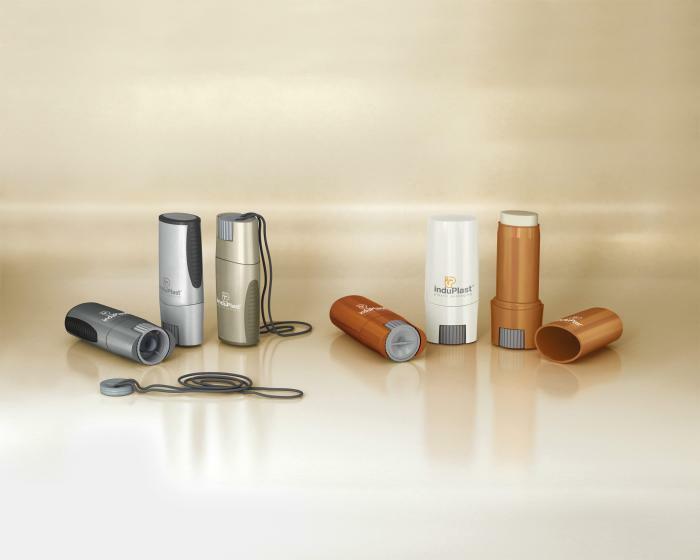 Designed for on-the-go products, the Smart Smile is fantastic for lip balms, sunscreens, dermocosmetics, baby care products, foot care products, insect bite treatments, make up, OTC and para-pharmaceutical products, and more. The practical, compact format of the container is perfect for anyone that needs a product that can be kept in a bag or handbag or that can be worn and kept out of the way while being active, whether on the beach, on the slopes, on a bike, or on foot. Furthermore, the smooth glide of the mechanism and the feel of the hefty, solid casing combine to convey complete competency and capability to the user. induPlast is quite confident about the quality level of the sticks developed as well as their highly distinctive appeal compared with similar market solutions. The latest and final version has recently been validated for sale on the market and will be showcased at Cosmoprof in Bologna in Hall 20 - Booth C24 from the 2nd to the 5th April.